Two piece track construction for easy storage. Snap-on connector clip holds sections straight and rigid. Use the second clip (included) to connect multiple tracks! 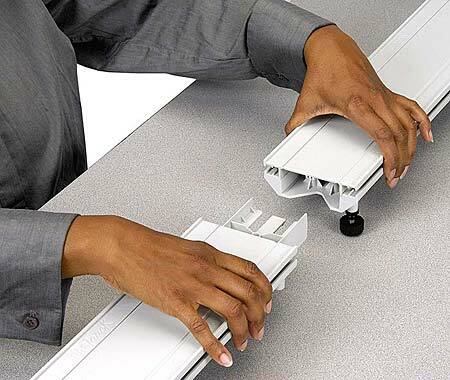 The track ends are designed to accept the Motion Sensor and Clamp-on Pulley, and the side T-slots accept Dynamic Track accessories, such as photogate brackets and end stops. Track includes six built-in leveling feet.